Prison sentences are rarely final in Ohio. Do not hesitate to call Nemann Law to discuss your options regarding the preparation and filing for an early release. Am I eligible for Judicial Release? One half of all non-mandatory time for any sentence over 10 years. The offenses were committed while serving in public office. 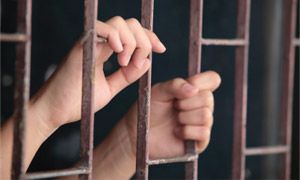 Third, judicial release cannot be granted by the trial court for drug offenses or OVI offenses for which there is a presumption of prison without making certain findings. 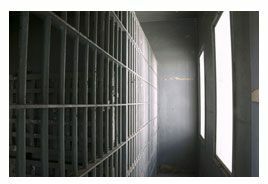 Finally, the Department of Rehabilitation and Corrections can seek judicial release for various reasons if the inmate has served over 80% of their sentence. How do I obtain Judicial Release? To obtain judicial release, a written motion must be filed and a hearing will be conducted. It is important to have an attorney represent you in the hearing and draft the motion because your freedom depends on it. Filing a Motion for Judicial Release is complex, and subject to very strict deadlines. Adam Nemann will work hard on your case and will argue for your release. He will investigate what programs you may have participated in while in jail, your contributions to society and to your family, and your individualized needs to be released. You may only have one chance to file a Motion for Judicial Release, so it’s crucial that you make the strongest and most persuasive case possible. In Ohio, sentencing judges have total discretion in deciding whether or not to grant a Motion for Judicial Release. If your Motion for Judicial Release is denied following a hearing, the Court cannot consider any subsequent Motion for Judicial Release for the remainder of your sentence, so you need to get it right the first time. Contact us today to determine whether or not you or your loved one is eligible for judicial release.